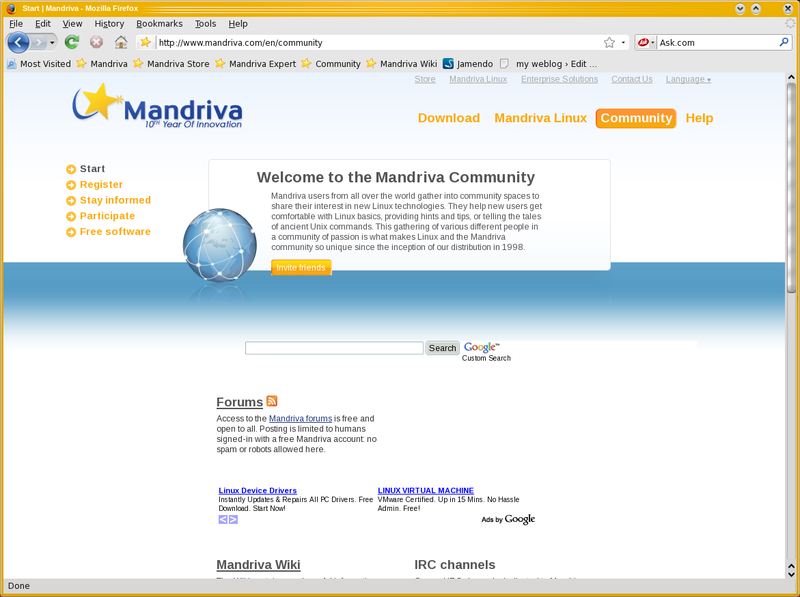 I recently downloaded the Mandriva 2009.0 beta 2 KDE 4.1 live cd. I kept of list of things I found as I had a look around it. I only focused on the desktop. Seems to have a beta Nvidia driver. Worked fine. 3D performance was mixed, with it not feeling as smooth as compiz fusion with KDE 3.5 does. Same old compiz oddities, like resizing a window when wobbly windows turned on is slow / does not redraw as it’s being resized. 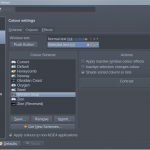 KDE4 compositing working. I selected compiz on startup, but it seems to be ignored. Firefox theme ugly. This really looks bad with KDE4 looking so good. 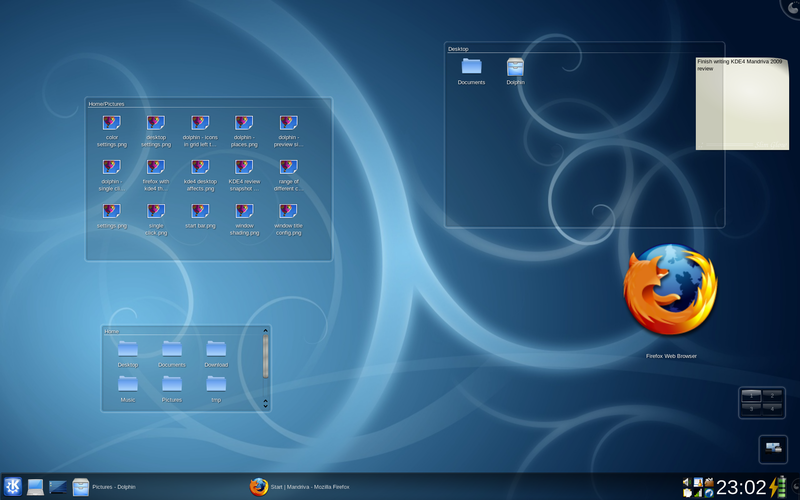 I suggest that Mandriva consider installing the “kde4″ firefox theme by default, this fits the look and feel of KDE better. The La ora theme not on live CD, this is a pity, as the default KDE window theme, is ok, but not that nice. It can be made a lot nicer, by turning off the “Show stripes next to title”. although maybe this is just me complaining. Getting the title bar colours to be anything other than fairly boring seems to be a bit of a trick, but possible with some playing around. System settings not on the menu, only available from “Favorites” on the menu. Excellent wifi support, Wifi LED started to work, plus without any configuration, wifi just worked when I accessed the network center. Dolphin not my preferred tool.. So I’ll be sticking with Konqurer, however, I notice that dolphin can display icons like I prefer, what used to be called multicolumn in konqurer. Run command interface is nice: Noteworthy shortcuts. 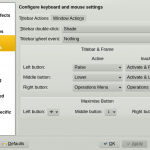 Ctrl - F12 to show dashboard, and Ctrl - Esc to show system activity. Also of course, the alt-f2 which is greatly improved krunner. man kio slave displayes manuals, but tried to open in firefox. fish kio slave crashed dolphin, but worked on second attempt..
Ogg not associated with amarok. Both the “Programs” and “Applications” kioslave’s do not show applications at second level. Now, enough of the bullets, and a visual tour. 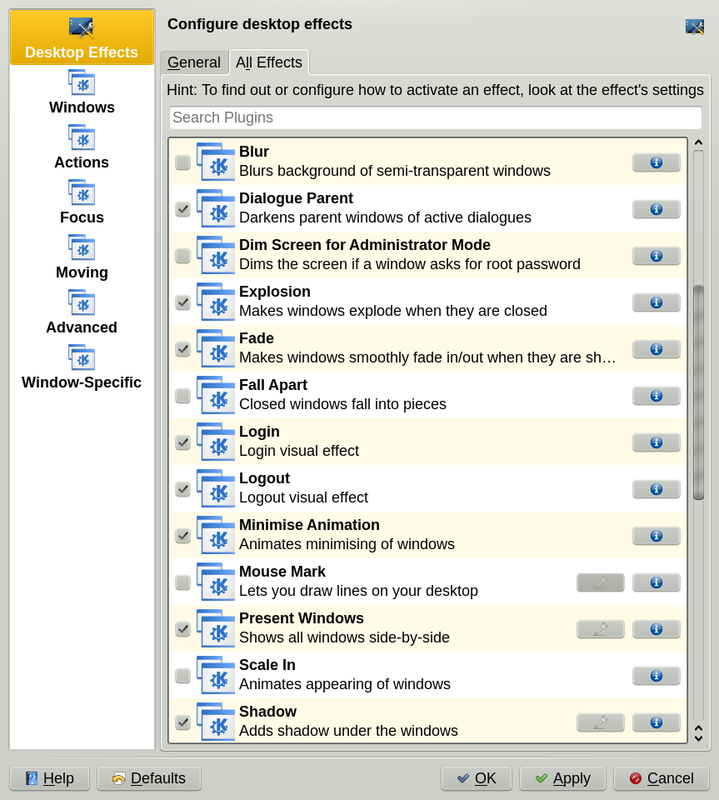 Window shading was disabled on live cd, in favor of the classic windows behavior of maximizing the window. I think shading is nicer. The new kicker start bar is interesting, but I am concerned that many users won’t figure out how to resize it. It can be resized wider by dragging the green and blue sliders, once the edit button for the toolbar has been opened. It can also be made taller, by dragging, but at the top of the edit tool bar, rather than the expected, top of the toolbar. Single click opens folders and files by default I really find this hard, and kept opening stuff by accident. So, personally think the default should be double click. For a start, didn’t even realize that was the cause of the weirdness. The System Settings for KDE are only available by looking under favorites, This is pretty strange, as I would expect them to be under tools. 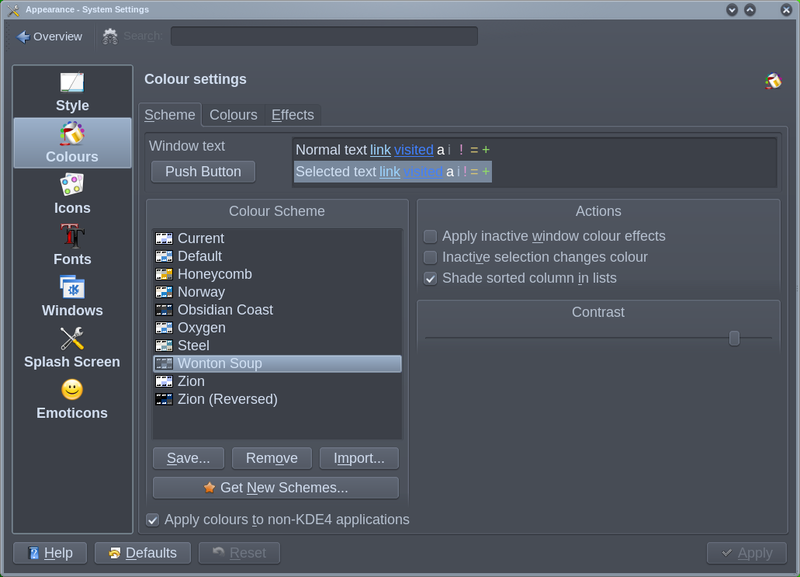 The is a nice range of colours available for KDE 4.1, including some quite nice darker colour schemes. I found these quite nice, although do think that attention needs to be kept when picking colours and looks for applications like firefox to look alright as well. For those that rather like Konquror, like myself.. it can be installed, even with the live CD, which is really quite cool, being able to install stuff into ram. Konquror is no longer the same beast that it was. 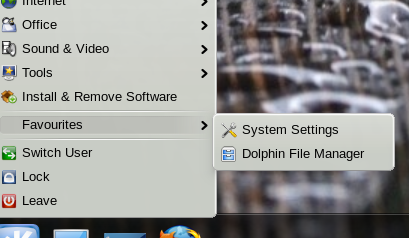 It appears to use the same display components as dolphin for file layout. So, some of the trusty views I use are not available any more. So, installing Konquror, is konquror, but not really the same. It also still can render HTML, which is nice. I would actually use Konquror as my main browser, if it supported firefox plugins. Without the plugins, it’s not really the browser firefox is. 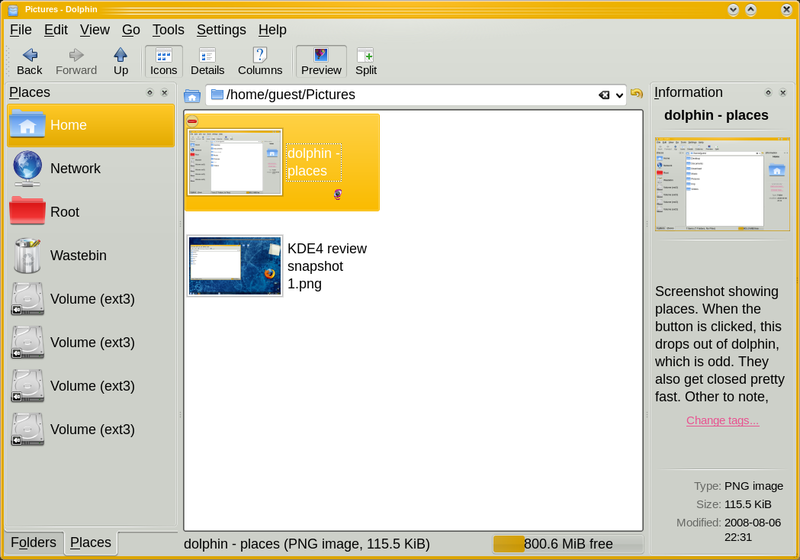 In Dolphin, the new file manager, to get the text beside the icons, i.e. multicolumn view, the grid layout can be changed to “Left to Right”. this suddenly makes it look like multilcolumn view in kde 3.5. Not critical, but nice. Another thing I noticed, being that I run at 1920×1200, is that the icon preview size is too small, even on it’s largest setting. This is a little bit of a pity, as I am sure that it could be made to go even larger. 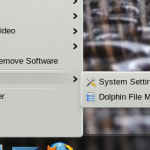 Here, dolphin is showing “Places” on the left, which include my partitions, plus a tab of “Folders”. Now, what I noticed with this is that these are panels that can be turned off and on. However, if the user clicks the X, to turn them off, they are almost gone for good, unless you hunt for them in the menu. 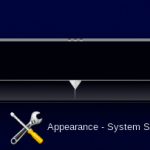 I think these should have an icon on the tool bar to get them back. Of the right is the “Information” panel, which has a nice new feature, where you can write notes about files. This is all cool, until you copy the file over the network to another computer, and the note does not seem to come too. 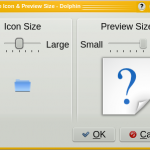 “Up” icon missing in dolphin. I added this back in, as it’s one of the most useful things. 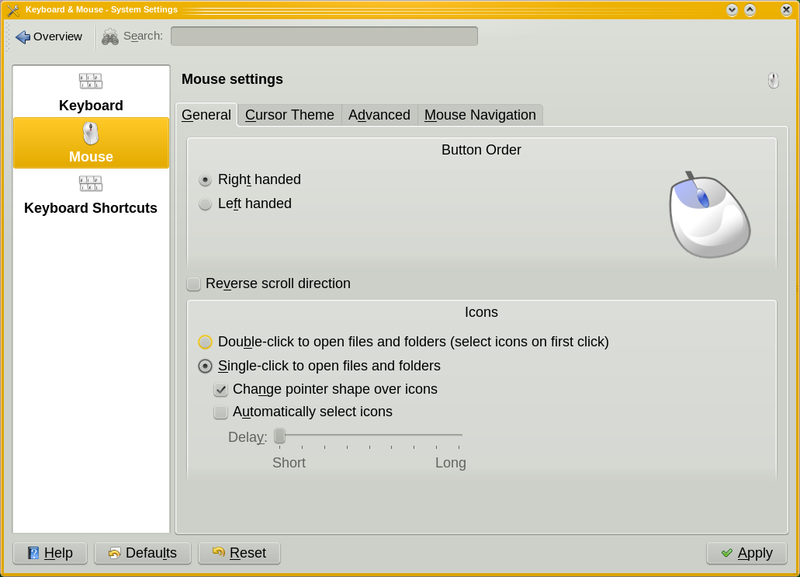 KDE4.1 includes a bunch of the desktop effects that Compiz is famous for. These seem a little bit unfinished at the moment. Many of them lack much options at all, and some of them don’t seem to work at all. Others work, but don’t make it clear how to get them to work unless you hunt around for the special key. 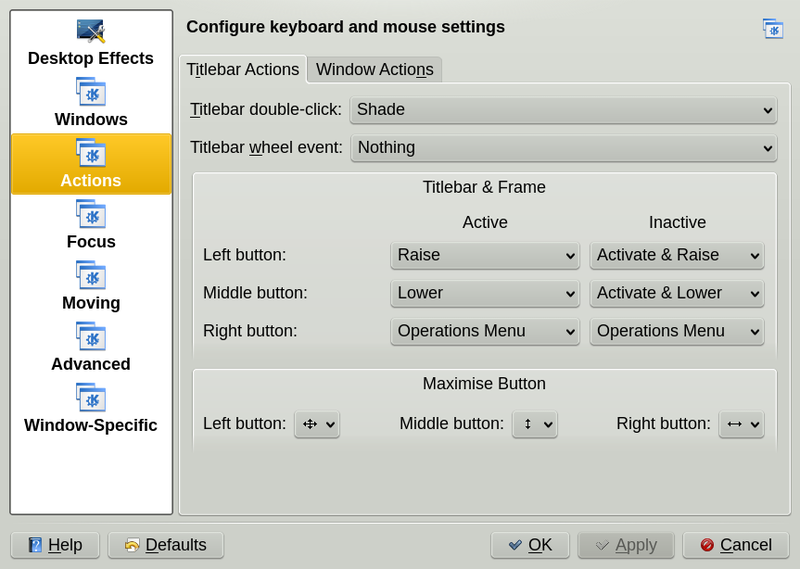 However, it is nice integration into KDE. Also of note, probably mostly for Mandriva to sort out, is that Compiz fusion is also available, however, does not seem to do anything at all when you use ccsm to change it’s settings, the KDE4.1 options seem to be the ones that the window manager is looking at. Folderview, which is a neat feature of KDE4.1, which can display a folder on the desktop in a nice looking window is great. 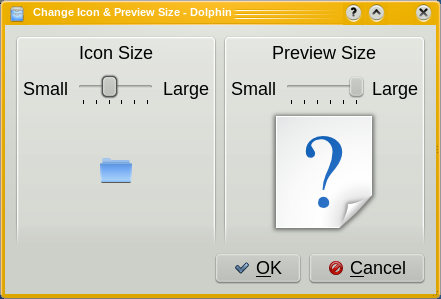 except, I would like to see better support for displaying previews of files, and when the possible option of opening a directory within folder view, rather than opening dolphin. Wouldn’t it be neat if you open the documents folder, if it stays open for say 30 seconds, and then, if the is no activity, goes back to the folder above. The default firefox theme looks awful with KDE4.1 smooth graphics and nice greys. 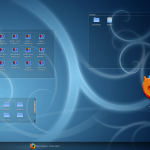 A quick search on the theme’s site for firefox found this them, which is designed for kde4. I think Mandriva should look at including this, or something like this as the default theme to make Mandriva 2009 look stunning. Another comment about firefox2 and fiefox3. If they are both of the menu, name them with a version number. Ideally, just have Firefox 3.